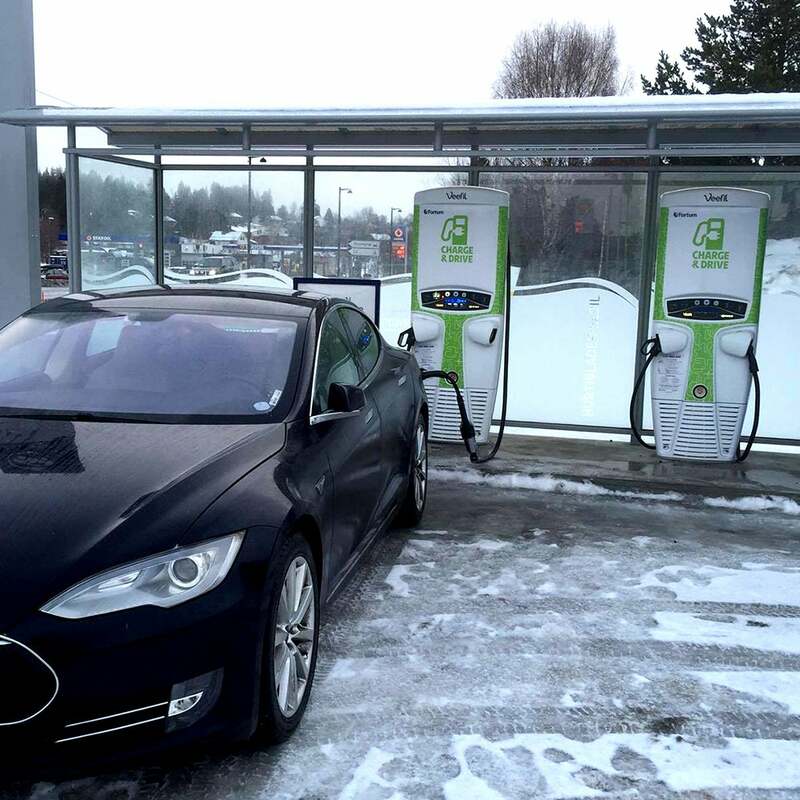 Reliable, robust EV fast charger. Full technical specifications are available on the Veefil-RT data sheet. 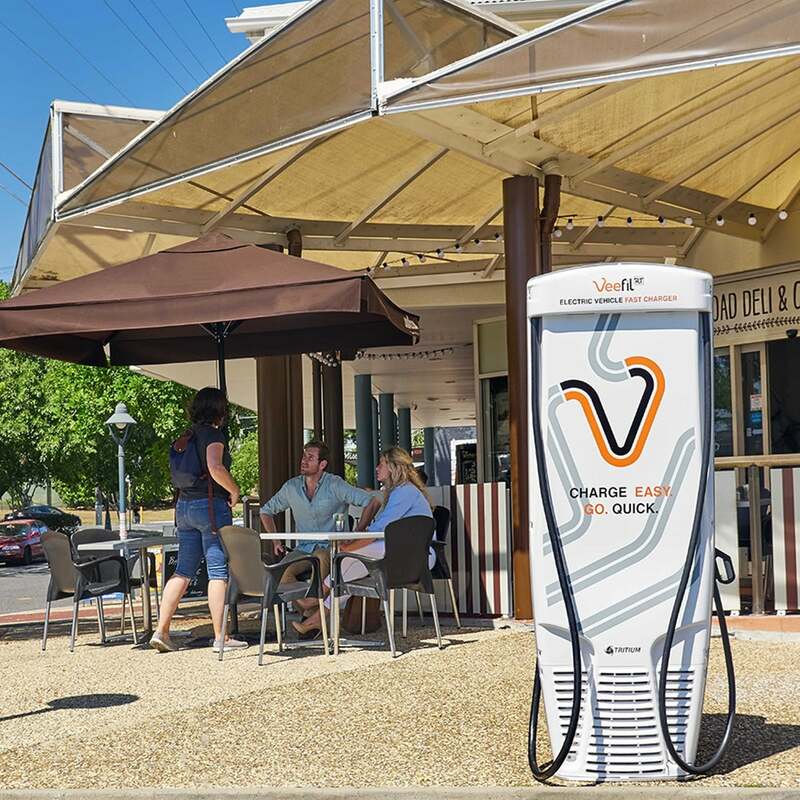 Being easy to install, the Veefil-RT delivers reduced set-up costs and a faster installation time, so charging services can be offered sooner. 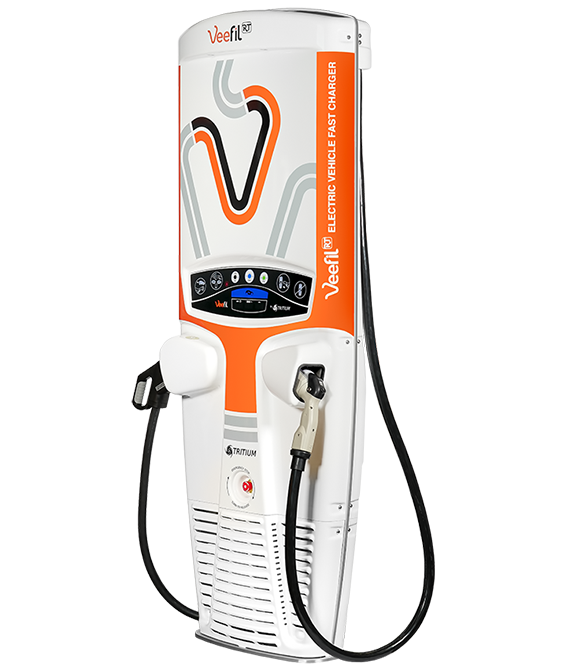 The Veefil-RT is liquid cooled which controls heat and reduces wear on internal components. The customisable front and rear decals of the Veefil-RT offer a powerful branding and communication opportunity. 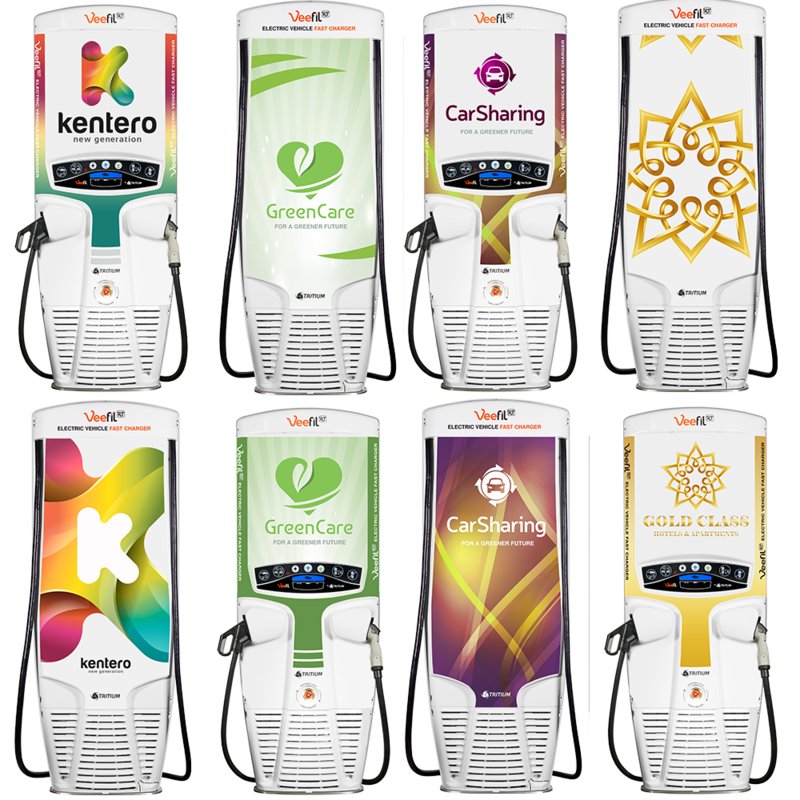 Corporate colours, logos, and messages can be incorporated into each customer-branded Veefil-RT.